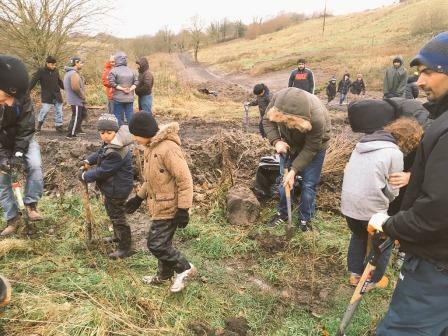 Young Muslims braved the wind and the rain today to plant 400 trees and help grow Keighley’s urban woodland.Around 40 volunteers from the local Ahmadiyya Muslim Youth Association (AMYA) also planted 300 daffodil bulbs near North Beck, off North Dean Road.The tree planting project will eventually see a new community wood stretching from Newsholme to Keighley town centre.Faheem Rahman, 25, the Keighley Ahmadiyya Muslim Youth Association youth leader, said:”It is part of our faith to help the environment and to give something back to the country we live in. 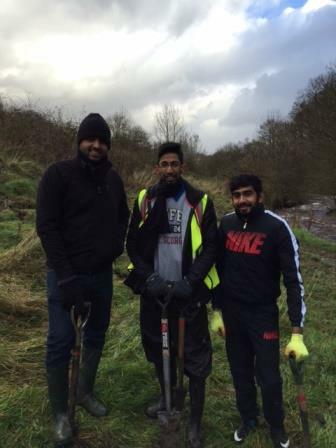 Faheem said the AMYA members recently sold poppies for the Royal British Legion and help out at hospitals and other good causes.“We are playing our part in creating the woodland for Keighley and for future generations to enjoy,” he said.“We don’t mind a bit of wind and rain and it was so much fun and so worthwhile.”The AMYA has been established in Keighley for more than 40 years.The group planted 400 willows and alder trees beside the swollen North Beck and also dug in 300 daffodil bulbs higher up, which will flower next spring. 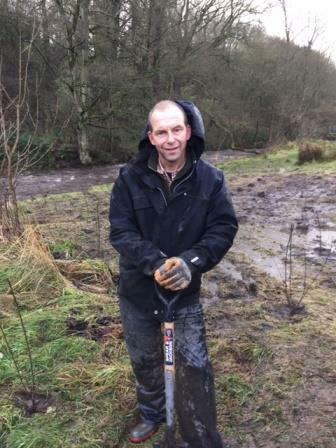 Share the post "Tree-mendous Effort as Young Muslims Dig In to Grow Urban Woodland"